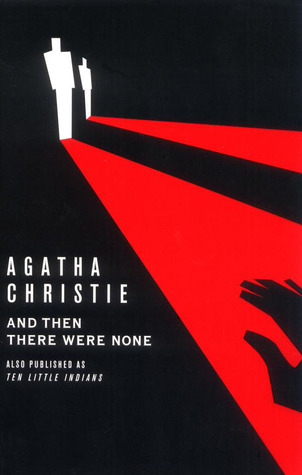 To start, And Then There Were None is the first ever Agatha Christie book I've read. But it's not like I've never known about her--you'd have to literally live in a cave to not know about one of literature's best mystery authors. It just never crossed my mind before to pick up a book by Dame Agatha. At least not until I found one of her books at a used book sale at work one day. Then I started browsing and came across this particular book, which is probably one of her most well-known, as it is probably referenced a lot in modern media, and has probably been the inspiration for many other books and movies to follow. Anyway, even as I continue to write this review, I'm still not entirely sure how I will review this book. I get it now. And Then There Were None had me pretty much attached to the book once all the characters were brought together and all the events were set into motion. I won't say that I knew who the culprit was, because I DID spend a good amount of time guessing. I had a pretty good idea, but there were also a lot of clues pointing to otherwise. But with the very end conclusion, with the final disclosure of the main killer, I can't say that I was surprised by it either. I KNEW it was that person... I just got tricked into believing my assumptions were wrong. 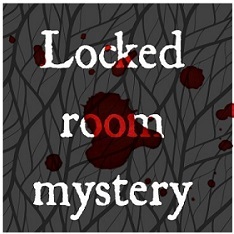 It probably didn't help my case that I have my own twisted reading experiences from other murder mysteries and crime thrillers to make my own "investigative" thought process a bit too complicated. This was definitely a very intriguing, thought-provoking experience. There were also moments of creepiness I hadn't quite expected, but interesting nonetheless. And to be honest, by the mid-point of all the murders, I want to say that I was more intrigued to find out who was next rather than who was actually doing the killing. Is that strange? Of course, there were a few things that didn't work well for me in this book, and more than likely had to do with the time period. I mean, when Dr. Armstrong struck Vera Claythorne across the face just to quiet her hysterics, I might have winced. Very un-PC for modern times, but also something that I grew up seeing used as humor in cartoons and television shows--though it was also equal opportunity slapping in the face by both genders to both genders. So maybe I'm just looking too hard at this particular scene? Other things that bugged me as well had me reminding myself that this book was written in 1939 and that there wasn't anything I could do about it, you know. So just focus on the mystery and move on. However, then I'd look at the murders and the motives and think, "Well... I guess that makes sense." To be honest, the ending exposition fairies felt a little awkward. They were probably necessary, as there were still a lot of unanswered questions. But they still felt a little out of place, and all too: "This is the author's Cliff's Notes of this book in case you didn't catch what happened." Again, I think it was the whole process of each character getting killed off, of the "who's next?" or "how did the killer do this?" or "wait what?" that had me so hooked. My curiosity definitely caught me off-guard. I will definitely be checking out more Agatha Christie now that I've finally had a taste of her work.